Where. The Hell. Did this movie come from? I have a fairly boring life in my free time. For most of it I’m just poking around the internet looking at movie trailers and future article topics. 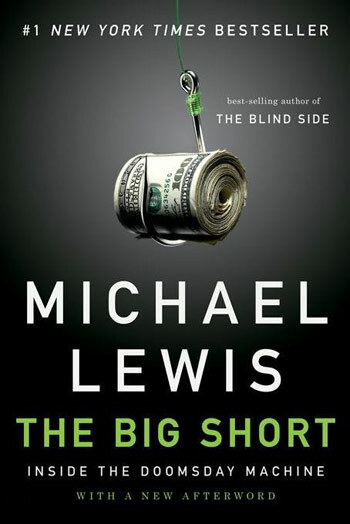 Somehow – potentially because this trailer is under a week old – I completely missed The Big Short. The latest effort from Adam McKay, director of Anchorman and Step Brothers, no, seriously, is an adaptation of the Michael Lewis book. Sounds odd enough right? Who could possibly be in the movie? Steve Carrell, Brad Pitt, Ryan Gosling, and Christian Bale. Well look at what movie just jumped to the top of my list for the holiday season. It also helps that the four star in an exhilarating trailer designed to throw itself into the Oscar race. This much is confirmed by the fact that “When the Levee Breaks” by Led Zeppelin, who never licenses their songs, is the score. Watch this trailer and then watch it fifty more times. This might be huge.